The 2016 Reunion at Fayettevill, NC, had the additional purpose of dedicating our memorial stone recently placed in the Ft Bragg Memory Garden. Read about the event and see more than one hundred photos in Reunion After Action Report. At the 2008 Annual Reunion the general membership approved the funding for a monument at the Airborne and Special Operations Museum located at Fayetteville, NC. The monument was completed and dedicated on 17 October 2009. To visit the ASOM website click the icon link below. To see the dedication page on this website click here. Listed below are several personal websites created and/or maintained by former members of the 281st AHC, they have information on the unit and the flight platoons. These links will take you to a new page, to return to this page simply close the window. If you are running a Pop-Up Blocker such as Google or Yahoo, you will need to disable that feature to follow these links. Brent Gourley's 1st Platoon "Rat Pack" website was established in 2000. Bob Mitchell's 2nd Platoon "Bandit Delta-Air" website. Bob has joined the DAT list - his page was lost. Paul Greiner's "Second Airlift Platoon" website. 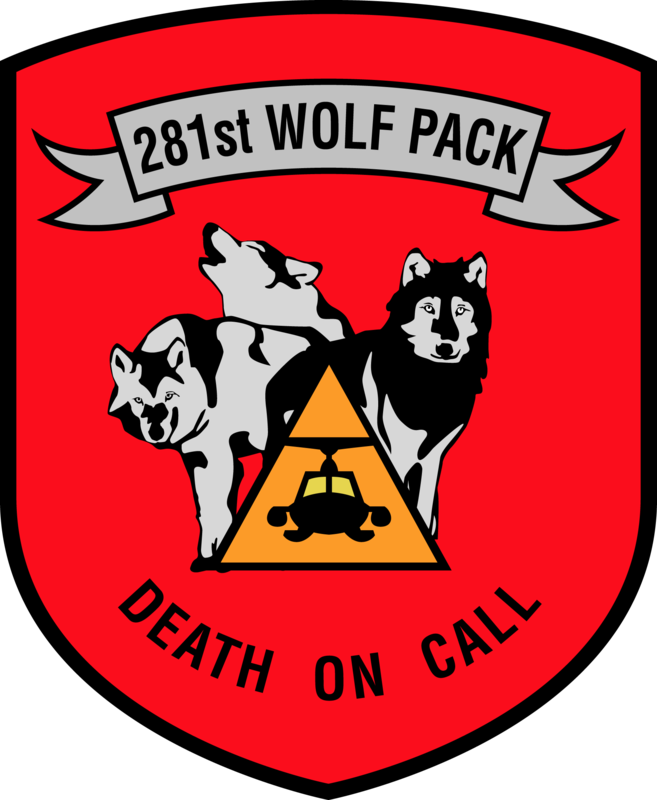 Fred Mentzer's 3rd Platoon "Wolf Pack" website was established in 1998. Steve Matthews' tribute to the 281st AHC Intruders, established in 1999. Vietnam Moments, a collection of stories and pictures relating to John Galkiewicz's Vietnam experience. Jack W. Serig, a collection of stories and pictures relating to Jack W. Serig's military service and his Vietnam experience. A Taste of My World, a collection of poems and stories by Craig Szwed. The Geezer Zone, personal website of Paul Greiner with a tribute to the 281st and the Bandits. The following links are to websites of units or organizations that were closely associated with the 281st AHC during its time at Nha Trang, RVN. A very well done website that honors the men of Project Delta. The 281st AHC was the primary Army Aviation element for Project Delta from 1966-1969. The 281st AHC supported 5th SFG Detachment A-502 on a daily basis. Because of this habitual support, a special bond exists between the men of both organizations even today. Please visit the Tom Ross tribute to A-502 by clicking the link, above. The 281st AHC has more members in the Special Operations Association than any other Assault Helicopter Company. Please visit the Special Operations Association by clicking on the logo. Steve Sherman has done an outstanding job of researching and archiving data relating to 5th SFG and subordinate units as well as MACV-SOG. The 201st Aviation Company (Corp) was located near the 281st in Nha Trang. Visit the homepage of the "Red Barons." Note: Some or all of the links below may depart the 281st website. Some of these links below will not operate because the page no longer operates or even exists. You may receive an "ERROR 404 PAGE NOT FOUND" or a deceptive parking page. Army Aviation Museum at Ft. Rucker, Alabama. Army Flight School home page is not an official Army page. 1st CAV Div Assoc. The First	Team! 1st CAV Div. Armed Falcons. 1st Brigade - 1st Cavalry Division (Airmobile). The Flying Circus. 1st	Aviation Detachment, 1st CAV. Guns-a-Go-Go. 1st Aviation Battalion, 1st Infantry Division. Bulldogs, Rebel Guns, Longhorns, Danger Hawks. Additional site for the LZ of the 240th AHC. Additional site for the 242 ASHC Muleskinners. Maps of the Vietnam War area of operations by Jim Henthorn. VNAF The Air Force of the Republic of South Vietnam. VHCMA The Vietnam Helicopter Crew Members Association. Poli Sci Dept at Wellesley College with links to many others. NOTE: The Vietnam Web Ring has ceased operation.